Hailey returns to Poseidon's Academy for her second year of high school. She hopes this year will be less eventful than the last, but with the nereids still intent on resurrecting the gods, she doubts it. They become the least of her worries, though, when a special ops team known as PET infiltrates the school, taking everyone hostage. Their mission is to explore the palace and procure anything of value before reporting the palace's location to their superiors. 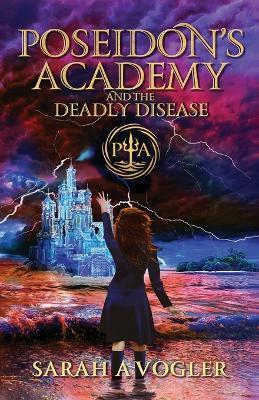 Hailey doesn't think things can get any worse, but then students start falling sick with a deadly disease that not even an Asclepius can heal. So now Hailey must keep the nereids from resurrecting the gods, stop PET from shutting down the school, and find a cure to an incurable disease.